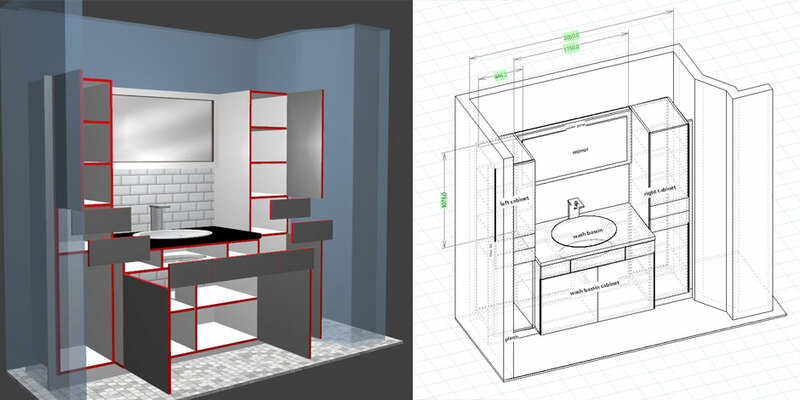 Polyboard is a bathroom design software tool that allows you to very quickly map out your room dimensions and drop in and resize custom cabinetry to fit exactly. Great for the exacting requirements of a bathroom project. Start with a simple carcass, and easily apply and position your design features: doors; drawers; shelves; vertical divisions; cabinet tops, plinths and so on. Resize your units and everything else resizes automatically. Create your bathroom layout and position your cabinetry and other units. Immediately see any issues and constraints and very quickly resize to fit. Plus instant 3D presentations for your customers. Sloping ceilings and walls, tight and tricky spaces, irregular walls, pillars, pipework etc. 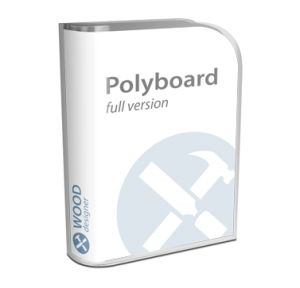 Polyboard has a comprehensive set of features to accommodate all these issues easily and without any drawing and redrawing of your design. 1000s of businesses around the world use our bathroom design software so we’ve made sure it can accommodate your way of working. 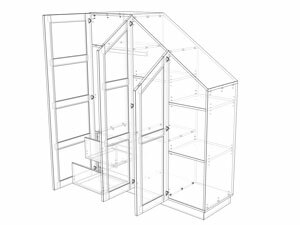 Define everything from the hardware and materials you use to the carcass construction and edging specifications. These style sheets can be reapplied to new projects in seconds. Instant output of your project cut list, part by part plans and all the CNC files you need to run your machine. Plus costings of all materials and hardware used. Design under eaves, and where space is tight. 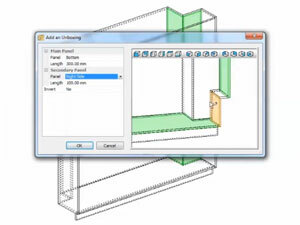 Just apply the angle or size of slope and all your design will be recalculated automatically. Boxing feature that adjusts your units to fit around pipes and other obstructions that are common to any bathroom project. No need to redesign. All fully detailed in your cut list and plans. 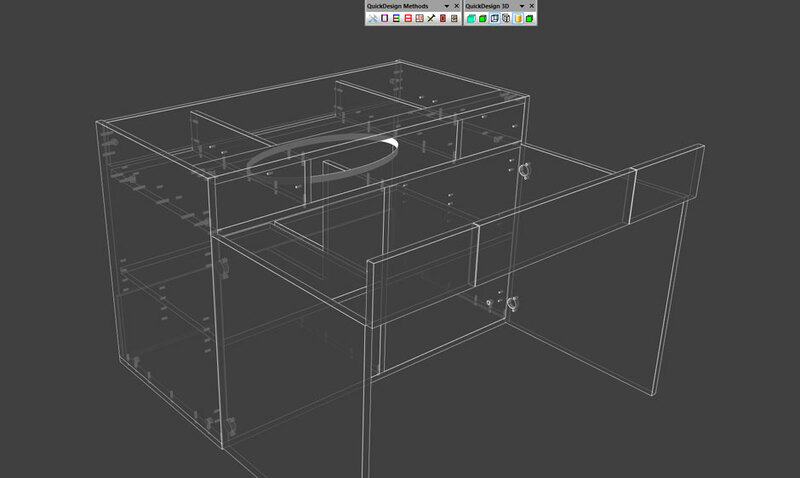 Our bathroom design software comes with an inner tooling feature so it's easy to create the cut outs for sinks and other fittings. Enhance your 3D visuals with sinks, mirrors, and other bathrooms fixtures. Quickly apply tiling and other specialist textures for walls, floors, unit tops etc. 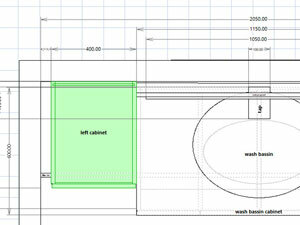 Wall and floor materials can be included in your cut lists and costings for comprehensive bathroom project management. Insert fillers, upper strips and plinths (again, all included in the cut list) to make the assembly stage even faster. 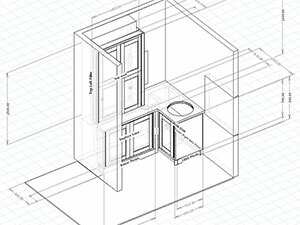 Click below to download and test Polyboard, our bathroom design software solution. Please follow through the short series of getting started videos on the download page to create your own fitted cabinetry bathroom project. See for yourself how fast the design process can be. And remember, once you done that design stage, the output for manufacturing will be immediately available. If you would like a demonstration of Polyboard, please contact us here.